The Moto Days have began! Motorola India is celebrating its three years in the country with the launch of Moto Days, a huge online sale on Flipkart in which all of its products are discounted. Some products are up to 60% off! Old Motos like the G2, E2 and Nexus 6 are getting Rs 1,000-4,000 discounts. You can grab them here if you want a classic Motorola phone for your collection. The newer Moto E3 Power got a Rs 500 discount while the Moto M is available in both gold and gray versions for Rs 15,999. The Moto G Turbo is also discounted, you can get it for Rs 8,999 (Rs 3,500 off), while the Moto 360 (2nd gen) is 20% off. 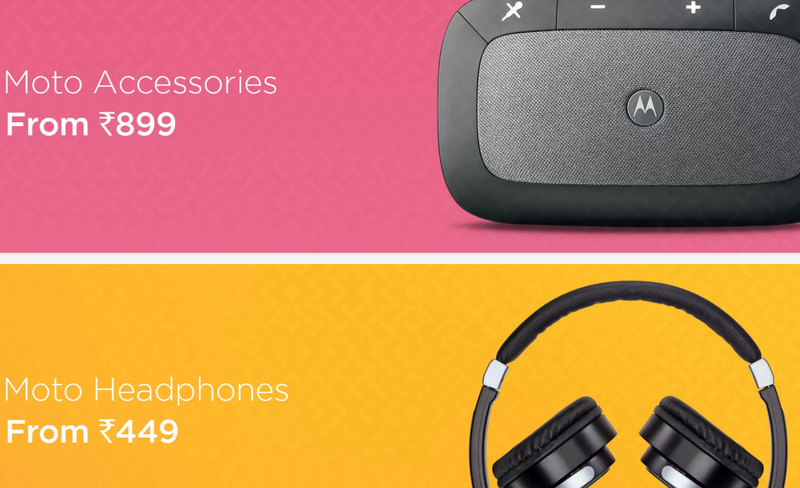 Motorola Accessories are also discounted, with up to 40% discounts on the VerveLife range, 40-75% off on power packs and car chargers while the Motorola Coin's price was lowered to Rs 899.